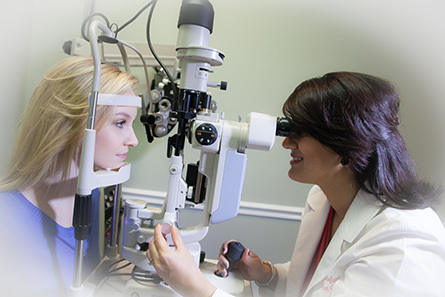 At Monroe Eye Care we offer a comprehensive eye health exam. 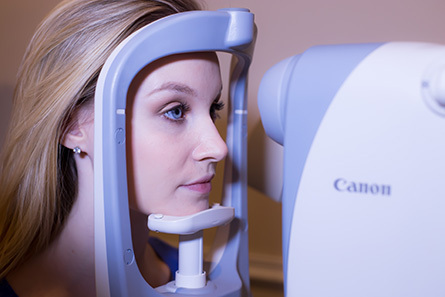 It includes a detailed medical and ocular history, eye pressure check, visual acuity evaluation, visual field screening, muscle balance testing, auto-refraction, determination of refractive error, computer vision testing, neurological assessment, and a detailed internal and external ocular health examination. You will also be carefully evaluated for many eye diseases such as glaucoma, cataracts, macular degeneration and retinal vascular diseases. 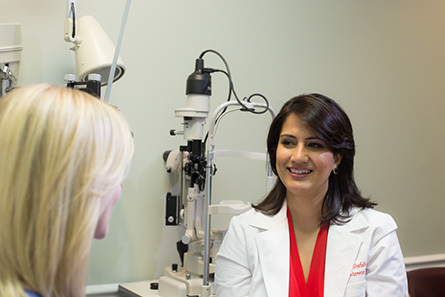 As with other diseases, early detection and your eye doctor’s care can make the difference not only in your vision, but in your overall health and well-being. 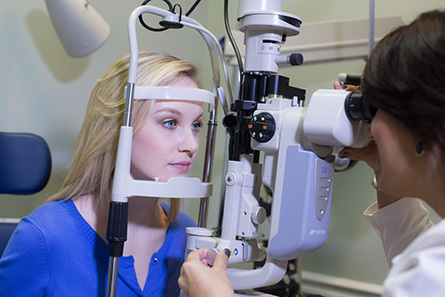 A yearly eye health examination should be an essential part of your annual healthcare program. Today there are more convenient and healthy contact lens choices than ever before. New contact lens designs are built with better optics, they are easier to fit and maintain, and they are generally more comfortable to wear over long periods of time. Whatever your vision challenge, it can most likely be met with an array of specialty contact lenses customized for individual vision needs. 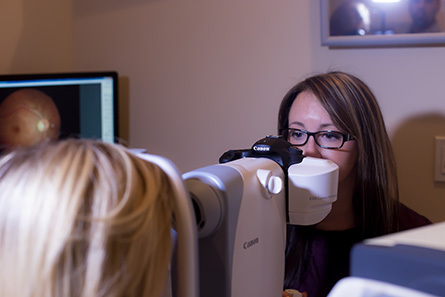 During the course of your yearly eye health examination, you will be screened for many eye diseases and conditions including glaucoma, cataracts, macular degeneration, retinal detachments, and other retinal vascular diseases. 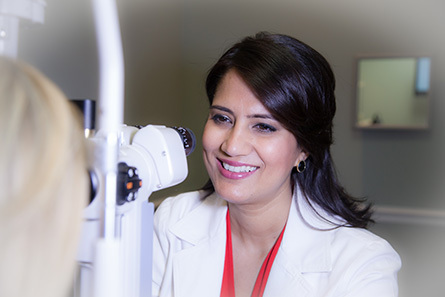 For more detailed information regarding many eye diseases and conditions of the eyes, please talk to your eye doctor. Eye problems can range from mild to severe; some are chronic, while others may resolve on their own, never to appear again. The list below provides only a basic understanding of some of these problems and their implications. The cardinal rule is if your eyes don’t look good, feel good or see well, you should visit your eye doctor. Also known as Corneal Reshaping Therapy, GVSS is a Non-Invasive, Non-Surgical way to correct your vision while you sleep and be glasses and contacts free during the day. Yes, wear the customized lens at night while you sleep and be glasses free during the day! 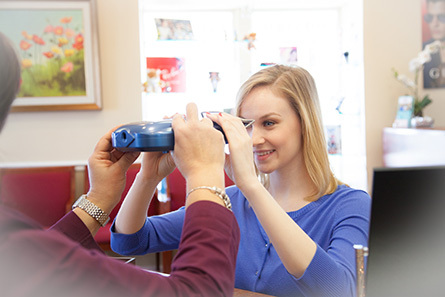 The Gentle Vision Shaping System uses specially designed vision retainer lenses to gently and gradually reshape the front surface of the eye (the cornea) to eliminate or reduce nearsightedness (myopia) or astigmatism. Ideal for those from 8 to 18 years of age primarily because it controls the progression of nearsightedness. Just like your dental retainers: The principle is similar to the use of a dental retainer used by an orthodontist to realign crooked teeth. The vision retainers are similar to contact lenses and are usually worn while sleeping. They are removed upon awakening to provide clear vision without using glasses or contact lenses! The retainers are comfortable and very easy to care for. From time-to-time we all experience dry, itchy, or irritated eyes. Your eye can be irritated for many reasons, including lack of sleep, seasonal or acute allergies, broken blood vessels, dry-eye syndrome, or even serious eye infections. In addition to what we carry on our shelves, our optical department can order almost any frame from almost any frame manufacturer. 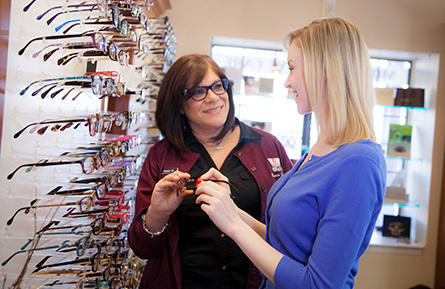 And when you purchase your eyewear with us, we provide many free services: frame adjustments, replacement nose pads, cleaning solutions and cleaning cloths, and light frame repairs, all free of charge. 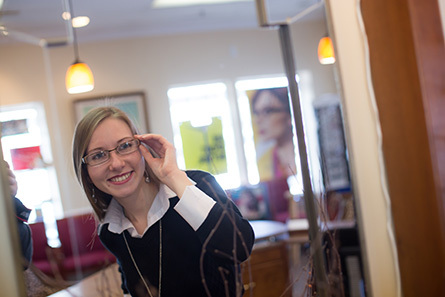 Simply stop by at your convenience and let us know how we can help keep your frames and lenses looking new. These free services are our way of saying “Thank You!” as we try to provide you with an exceptional experience at our office. 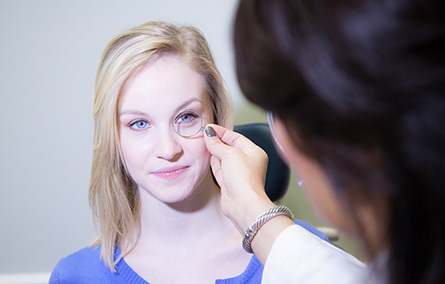 As with other injuries, an eye injury usually requires immediate care and consultation from your eye doctor. A good rule: treat all eye injuries as potential emergencies, and never hesitate to contact us or stop by for an emergency eye examination. In the event of an eye injury or other eye emergency, please contact our office immediately at (609) 235-9770. If your injury or emergency is after hours and you are unable to reach us, please seek help at your nearest hospital, emergency room, or by calling 911.